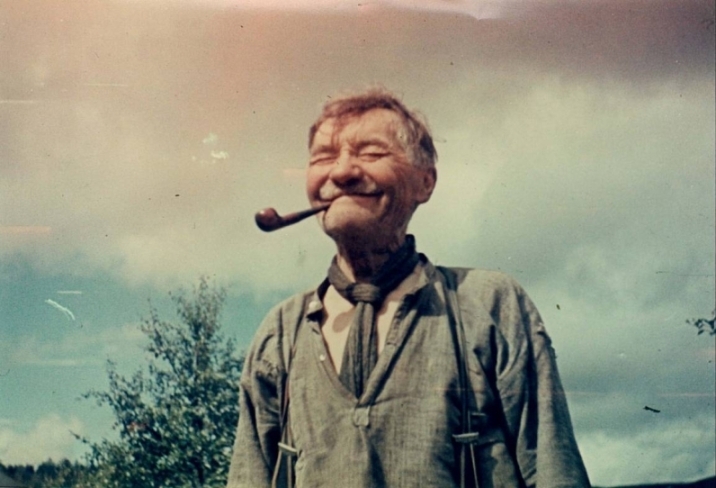 Lars-Ole (Lassi-Uula) West (Jouni's father) in Ronkajärvi 1943. Magga Kitti and Jouni in Ronkajärvi 1943. Born on 17.1.1943 at Inari, one of the northernmost municipalities in Lapland, author Jouni Kitti is a son of the Reindeer Sámi. The name of Jouni's biological father is Lars Ole West, born 15.11.1872 in Pulmanki in Norway. 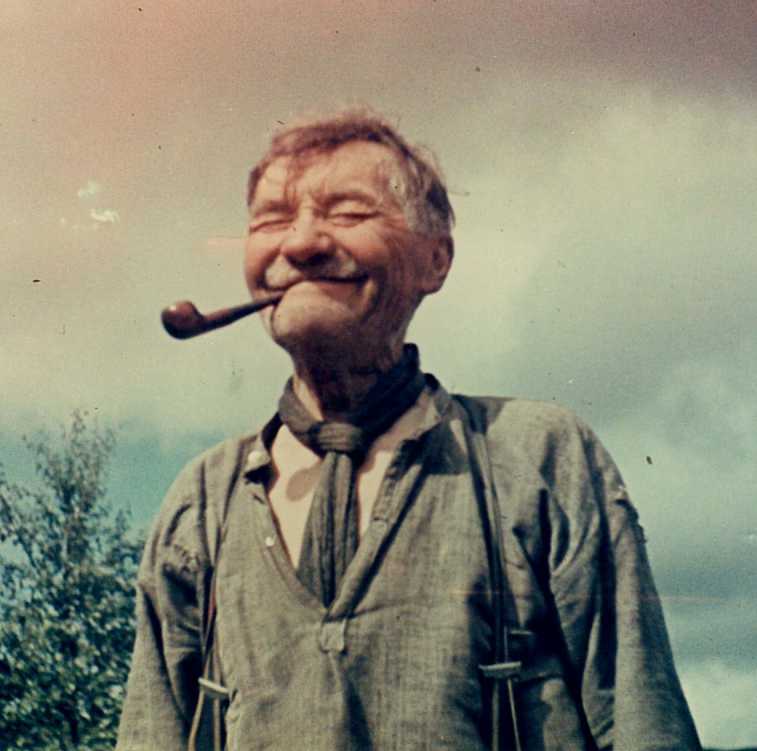 Before the 20th century, Lar Ole worked as a reindeer herder in the Lapp villages in Norway. 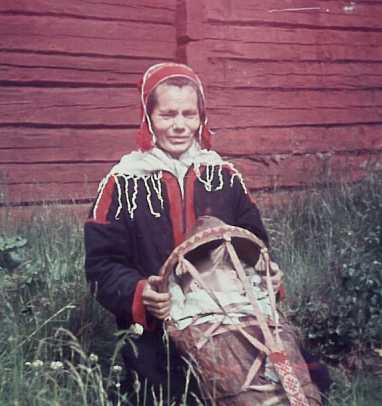 At the same time, there was in the northernmost area of Finland, at the Norwegian border Rauna Klemetintyttö (Klemetti´s daughter) Kitti pasturing her reindeer. She had been left widow in 1894. As a woman, she had almost insuperable difficulties in taking care of a thousand reindeer, especially as, in those days; there were always plenty of wolves and wolverines lurking for the reindeer. In 1900, probably in January, Rauna Kitti went skiing to Norway to ask Lars Ole if he could come to help her to look after her large herd. He agreed, and they came together to Finland. In 1901, Rauna and Lars Ole got married, probably next year, they moved with their reindeer herd over the lake Inarinjärvi to the lake Kattajärvi, near the Russian border. There they build a hut of sod, and kept their reindeer for a couple of years. But as more and more settlers came to the area disturbing the traditional nomadic reindeer herding, they had to move again. This time it was to an uninhabited wilderness area of the lake Hammasjärvi, west of the Ivalojoki River where hut was built. A son and two daughters were born of which two died of the Spanish disease and the third of meningitis originating from a cold injury. In the 1920's, the nomadic life style of Ole Lars and Rauna began to settle down, as my father bought a house called Ronkajärvi from a fishing Saami whose name was Morottaja. The house was situated 15 km south of Inari. Lar Ole's wife Rauna died in 1938. Thereafter, my father asked my mother Magga to come to take of the tasks Rauna had done earlier as a housekeeper. In 1943, 17th of January, the Ronkajärvi Saami house got a new resident as my mother gave birth to Jouni. Because of the Lapland war, all the Saami of Inari and Utsjoki had to evacuated to Middle Finland to places called Ylivieska and Kalajoki. This period of the evacuation began in September 1944 and lasted until the beginning of August 1945. During this period, Jouni's father became seriously ill and he died 1945 in late winter. He was buried in a town called Kokkola. 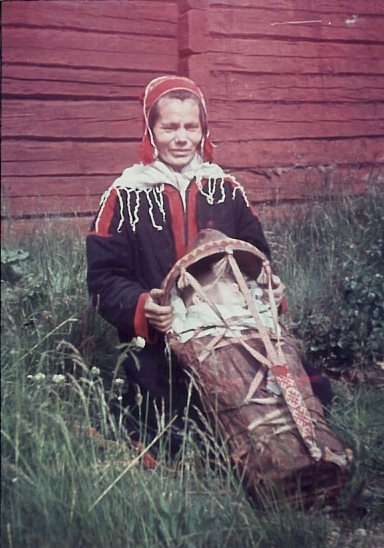 After the war, Jouni's mother gave him as a foster child to a Saami family in the wilderness village of Angeli. Later on, he came from there to a Finnish primary school in Inari. At the time, he spoke only Saami language. At present Jouni is employed by the Finnish Ministry of Agriculture and Forestry in connection with fishery and reindeer husbandry matters. In 1970-1978, he was engaged as field officer on fish stock assessment and the fishery in the Sámi region, and in 1978-1979 on the government's fishery objective commitee as a permanent expert and secretary. Subsequently, he has been employed as the secretary of the Baltic salmon preservation board appointed by the Ministry of Agriculture and Forestry. Between 1976 and 1995, Jouni Kitti was member of the Sámi Delegation of the Finnish Sámi Parliament which is elected every four years, and in 1995, he was elected to the new Sámi Parliament in association with Sámi cultural self government which took effect at the beginning of 1996. Jouni Kitti has served as editor of Sapmela magazine (Wikipedia), a Sámi publication since 1980. The magazine appeared ten times a year and was distributed free to all Sámi speaking families.